Lubricants are a vital part of most if not all industrial machinery. We have written about the matter many times before. To begin our journey here into different lubricants and what their applications are when to use them we should establish the purpose of lubricants in machinery. Lubricants are solutions created from compounds (usually petroleum based) that are used for minimizing friction between moving engine or component parts drastically extending the longevity of the equipment we use. 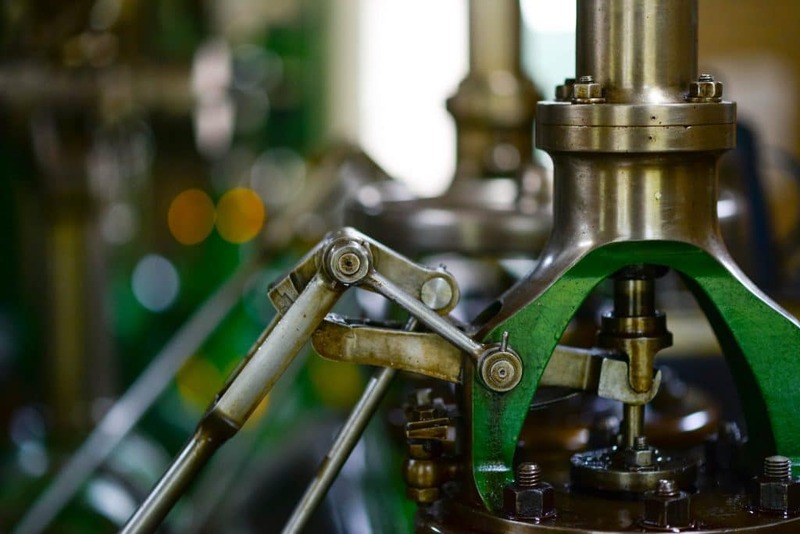 There are many types of lubricants ranging from liquid-based oil lubricants to a semi-solid yet soft grease, so knowing how and when to use these tools is paramount to the success of your equipment. To begin with, we will dive into synthetic oils that are used to lubricate the engines inside of vehicles, the gears inside of most motors, and machinery. Motor oils are made from a heavy thick petroleum hydrocarbon base derived from crude oils and additives that are used to maintain a proper level of viscosity. Viscosity can be defined as how “thick” a liquid is. These oils coat moving gears and parts with a film of oil that protects the parts from friction that over time would destroy the quality of these parts. Oil-based lubricants are the most widely used and common of the industrial lubricant types as they are used in almost every single road vehicle. Next on our list of lubricants are greases. Greases are a semisolid lubricant that is usually a soap base, emulsified with mineral or vegetable oil. These highly viscous lubricants start in a paste-like state but once applied and rubbed onto a surface, coat the surface with a similar film of lubricant that oil-based lubricants provide. Greases are usually applied to mechanisms that can only be lubricated infrequently and where a lubricating oil would not stay in position. In addition, greases also act as a sealant to prevent the ingress of water and incompressible materials. Bearings, both ball and mechanical require greases to maintain efficiency. Hydraulic fluids are an interesting chemical as they serve many purposes. First, they are the medium by which power is transferred in hydraulic machinery. One of the most important aspects of hydraulic fluids is their level of compressibility. Compressibility is a measure in thermodynamics and fluid mechanics of the relative change in volume a fluid experiences in response to pressure. As pressure and temperature rise within a hydraulic fluid, the volume remains very constant as opposed to most other fluids that will experience an increase in volume with rising temperature and pressure. While not by definition lubricants, hydraulic fluids do provide a buffer that extends the lifetime of the hydraulic pump system they are used in. For example, your car’s brake system is a hydraulic pump system and your brake fluid is a petroleum-based hydraulic fluid. When you press on the brake pedal, a pump is pressed forcing fluid along a pipe called the hydraulic line where pressure builds until enough energy is transferred to close the brake caliper pistons on the rotor. Without hydraulic fluid to buffer the parts and transfer energy these parts would be in direct contact and could cause damages. Finally, there is heavy duty engine oil. We have already spoken about motor oil here and in past articles, however, heavy-duty engine oils are different enough from them to warrant their own spot on this list. Heavy duty engine oils are engine oils with much higher viscosity levels. Where conventional oils create a thin film of lubrication over gears and other mechanical parts, higher viscosity oils coat with a much thicker film providing a much more resistant finish that will protect against the wear and tear of a large construction vehicle. These highly viscous lubricants cannot be used in automobiles or other machines that use standard motor oil as these oils cause too much resistance and could damage the machine. There you have it, you are now equipped with the knowledge to be able to make educated decisions when choosing what type of lubricants, you or your company may need. SC Fuels offers all of these lubricants in many different grades to suit your needs. Click contact us or call us at 1-888-SCFUELS to speak to a lubricant expert about the different suites of lubricants available to you! State of Global Energy and Emissions.